When a vernacular farmhouse on the High Plains of western Kansas was abandoned in favor of a sleek new ranch-style house in the mid 1950’s, it was emptied and forgotten about. It had received minimal (if any) maintenance in the following sixty-odd years and is today termite-riddled in some areas. Its simple plan (two rooms up and two rooms down with a kitchen wing at the rear) was typical of many late nineteenth-century homesteads in the region, few of which survive. The house appears to have been updated twice in the past century-and-a-half. In the gable ends, three-over-one windows replaced the original four-over-fours sometime around 1920. Later, it received wide replacement siding on the exterior — probably in the 1940’s or ’50’s — coinciding with a garage addition, rear porch enclosure, and some minor interior changes which appear to have been made at roughly the same time. Spring is trying to spring here, and it felt good to get outside for a day and explore. With the permission of the owners, I was able to spend a few minutes in the house this weekend. Photographs were hurried, and I was not able to capture all that I wanted to. I apologize for the lack of expansive room images; the photos I took are somewhat more detail-oriented. The simplicity of the place — and the numerous original materials which have survived — are a good reminder that life for many people in rural areas remained quite primitive well into the mid-twentieth century. The house is partially obscured by numerous cedar trees. The lawn of buffalo grass has yet to spring to life. Five chamfered porch posts span the modest façade. Each has been bolstered in some manner with later stabilization efforts. Wide clapboards, the product of a mid-century attempt at modernization, do little to disguise the 1880’s character of the vernacular farmhouse. A second door — to the right of the remaining door — is now hidden by the siding but once connected the parlor and porch prior to the mid-century updates. The barn at left, still functional, has been given more attention and care in recent decades. A four-over-four double-hung window survived the modernization efforts. Note that the vertical (center) muntin is much wider than the thin horizontal muntins. This is typical of Italianate window sash and done in order to emphasize verticality. The exterior of the front door. The knob and rim lock have clearly been relocated; “ghosts” of a previous installation remain beneath layers of paint. The upper panels of the door are original and reveal a raised panel. The lower panels are later replacements and are perfectly flush. A kattywampus keyhole escutcheon was painted-over without regard to orientation; this casual effort at painting was likely the last the house had seen in decades. As seen from the interior, a simple patch of tin covers the scars of the original rim lock location. The original parlor door is still in place but is obscured by wallpaper and paint. Note the small shelf attached to the door… it appears to have been added to accommodate a telephone (as evidenced by the telephone jack seen on an adjacent wainscot slightly below the door’s rim lock). The wall perpendicular to the door was itself modified with open shelving in a somewhat tragic effort at modernization c. 1945. A pair of Craftsman-era windows replace what was likely a single four-over-four window originally. Noted the ceiling of wide beaded board (wider than the beaded wainscot). The kitchen was likely originally in the rear wing. This front room, possibly once a dining room, served as a kitchen when updated in the 1940’s. A medicine cabinet remains above the sink — the most logical place for it given that the house never had a bathroom. Note that the sink has no faucet. Where did the water come from? Here. The water for the house came from this pump. A row of trees was planted in an attempt to subdue the seemingly never-ending prairie wind. An outhouse once stood a similar distance from the other side of the house. The stair to the second floor starts in the kitchen. A pantry is below the stairs. Yellow linoleum covers the beadboard wainscot in an effort at modernization. At the upper right may be seen the flue hole which served a former cook stove. Cheerful wallpaper and tile-emulating linoleum tried valiantly to erase the plain, late-nineteenth century, reality of the house. Wallpaper covers the glass panes of the back door which leads to the rear wing (likely the original kitchen). Linoluem covers the wainscot while gray paint makes an arbitrary attempt at disguising the door. A folding door above the stairwell helped to retain heat on the ground floor during the winter months. This arrangement was typical of many early and modest houses in the region (in absence of an enclosed stairwell with a door). A simple balustrade gives the folding door a place to rest when open. An awkward and inaccessible bit of floor above the stairs. Note that the baseboard was installed prior to plastering… the plaster is flush with the face of the baseboard. At the top of the stairs, a board-and-batten door leads to the other room. It is made of wide beaded boards and fitted with a rim lock and fancy cast iron steeple hinges. The red stripes on the ceiling are remnants of a former decor centered around a circus theme… the red stripes were meant to suggest being under the “big top“. The other side of the door. A block of wood was added behind the rim lock to give thickness to the door so that the lock would meet up with the jamb-mounted catch. Circus-themed wallpaper sets the tone for what had obviously once been a child’s room. To complement the decor, someone painted a closet door of plywood with a depiction of a ballerina on a swing. Within the closet, remnants of an earlier decor remain. Outside, short and squat Craftsman-era windows contrast with the original tall and narrow Italianate window which survives beneath the porch roof. To the left of the corner may be seen a short pipe — this drained the waste water from the kitchen sink directly to the outside. To the right of the corner is a cable which connects the lightning rod to the ground. Inside the enclosed porch, original clapboards reveal the intended look of the exterior. This wing, possibly an early addition, sports two-over-two windows. Note that the lower sash was glazed with four pieces of glass (presumably because larger pieces were not available at the time the window was installed or repaired). The rear wing with adjacent appendages. The garage addition is awkward at best. The house, in its locale, is a rare survivor from the late nineteenth century yet is soon destined for destruction. Am I the only one to notice the pair of eyes looking up under the skirt of the painted woman on the swing? Or do I just have a dirty mind, lol! I had not noticed the eyes before, but have to agree with your assessment! Is that a dog leering at her? You and the dog both have dirty minds! The story-and-a-half plan is similar to the “salt box” you asked about below, but without the deeper footprint and defining longer roof at the back of the house. This farmhouse appears to be a regional interpretation of a folk house built in the National style, about as non-descript as a style can get! This area used to have lots of houses like this one but they are very scarce today. Also, Am I right in thinking this is a derivative of the “salt box” house type? I’ll be salvaging the windows… send me the dimensions you need! If these will work I’ll send them to you. I’m going to save as much as I can from the house before its unfortunate demise. Glad you’ll be salvaging them!!! We are able to get cheaper windows locally, probably cheaper than it’d cost to send them but thanks anyway. I’m happy that they will not be smashed and lost forever, thanks for that too. It is quite obvious that there was a lot of love in that house. They didn’t have much in the way of material things, but they went all out to ensure the kids room was the nicest room in the house. Love the politically incorrect wallpaper. I was touched by effort that went into the kid’s bedroom, also. The love was almost palpable inside. Thank you for the time I just spent in Kansas fantasy land. What a treat, to be escorted through this house and have it all described and the details explained. I was truly transported back a hundred years or so for just a few minutes. I love when you have a new post. Thanks, Bethany! I wish I could post every day, but time just doesn’t allow for that right now. I hope to post more frequently this spring and summer… I have a few road trips planned! 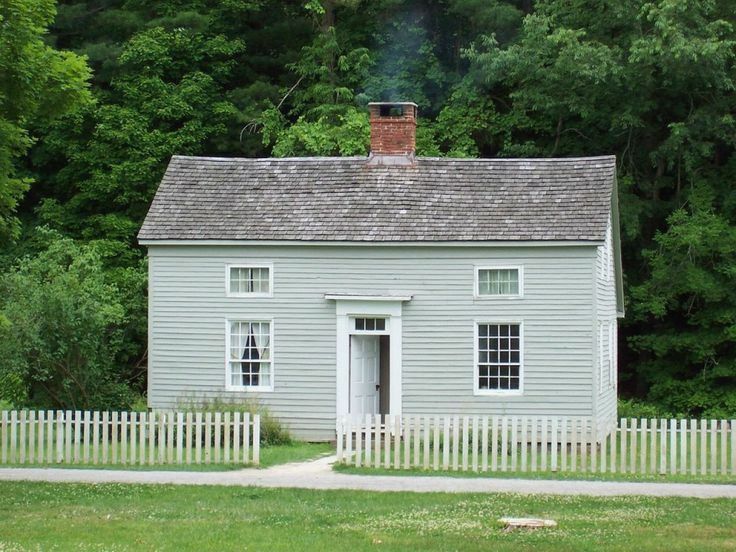 Thanks for documenting these plain and modest houses from decades and centuries past. When we become enamored with the architecture and beauty of extravagant homes of the upper class that have survived, it can be easy to forget that the average person from those times lived in much humbler dwellings. You’re welcome! I’ve always been drawn to these kinds of places… the houses and buildings which slip through the cracks and go uncelebrated (even by many historians) because they are too plain or too crude. Without them, however, we are left with a very distorted impression of what the past was really like for most people. Thanks for caring! I’m also curious how this house was left in such good condition for 60 years unused? It doesn’t look like it was repurposed for livestock or storage, but kept standing with some effort and care. Perhaps the owners still had a sentimental attachment even after moving into the new ranch house? Maybe they were the children who had grown up inside this house, and had fond memories with their family there?